Diana and Kothy continue their winning style with "Simply Teach Me" Vol 2. 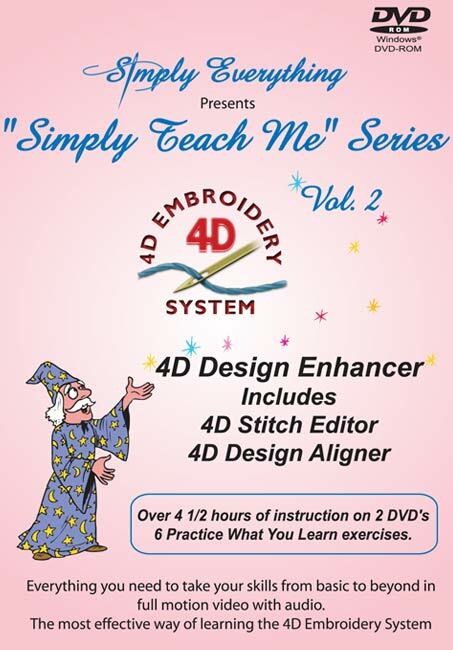 These instructional hands-on video tutorial DVD's on 4D Stitch Editor and 4D Design Aligner, take you to the next level. 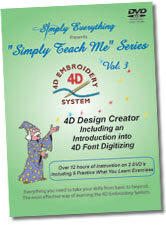 In just a few hours they will have you mastering 4D Stitch Editor in easy to understand steps. 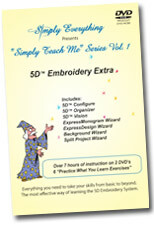 Imagine yourself, editing, splitting, making borders, adding beautiful patterns and much more. 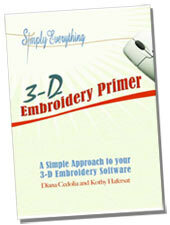 Learn how to use the new 4D Design Aligner for splitting large embroideries so they fit your hoop automatically and line up perfectly when you stitch them out. It's as close as you can come to attending the class in person. 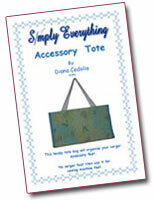 With their friendly teaching method you'll be surprised at how quickly you can learn. Just follow along on your computer and learn at your own pace. It's that simple!